Reiki is a 19th century Japanese system for stress reduction and relaxation that also promotes healing. It is based on the belief that energy flows through living organisms. 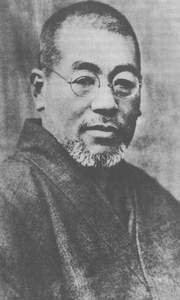 Reiki was developed in the early 20th century by Dr Mikao Usui, from a combination of Buddhist teachings, extensive travels, research and meditation. Reiki can be translated as "Universal life force". 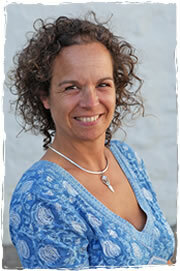 Reiki practitioners believe that ki is all around us and can be harnessed by the mind. It is believed that we are more vulnerable to stress and illness when reserves of ki are low. Reiki practitioners channel this ki to help their clients. Reiki heals by breaking up negative energy and replacing it with positive, healing energy, which passes through the hands of the practitioner. As holistic medicine becomes increasingly popular, Reiki is being hailed as a treatment for helping body, mind, and spirit. This makes it very different from traditional medicine, which typically only addresses the disease itself. While Reiki is not a religion, it can be interpreted as a spiritually guided practice. Teachers therefore recommend that practitioners live in accordance with certain ethical ideals and do their best to promote peace and harmony in the world. Reiki works by allowing energy to flow through the affected areas of the body and charging them with positive energy. Raising the vibratory level of the energy field allows negative thoughts and emotions to be released, creating space for healing. Reiki clears, straightens and heals the energy pathways, allowing the energy to flow in a natural and healthy way. Reiki cleanses the body of built-up toxins, relieves pain, soothes shock, calms the mind and emotions and accelerates the body's natural ability to heal itself, at the same time promoting a state of relaxation and well-being. It works wherever the recipient needs it most. Reduce shock, pain, bleeding and bruising. Reiki is not a cure for medical conditions or diseases. Sessions are usually carried out with you lying or sitting clothed in a comfortable, peaceful environment. I will place my hands over your body and your system will automatically draw as much energy as it needs to begin the healing process. You might feel it as a flow of energy, mild tingling, warmth, coolness, or nothing at all, but it always tends to be a relaxing, calming experience. The treatment is made more effective if you are able to rest for a while after the session and drink plenty of water to assist the detoxing process. While one Reiki session can make a huge difference, it is usually more effective to have a regular course of treatment. This may be weekly, fortnightly or monthly, depending on your needs. I will discuss the most appropriate treatment plan with you and review it on a regular basis. If you are unable to make your appointment, please let me know as early as possible. Cancellations will incur a fee of £25 if notified less than 24 hours from the time of the appointment. If you would like to book a Reiki treatment, please email me or complete this form. I always aim to reply to you within a day. The sessions are held at Evolving Therapy in Marsden, West Yorkshire.